Last year I set some goals and I think this is the first year I can actually say that I am happy that most of those things happened. Not that some of those can't really be checked off as "complete" but I wouldn't call it a total fail like years past! 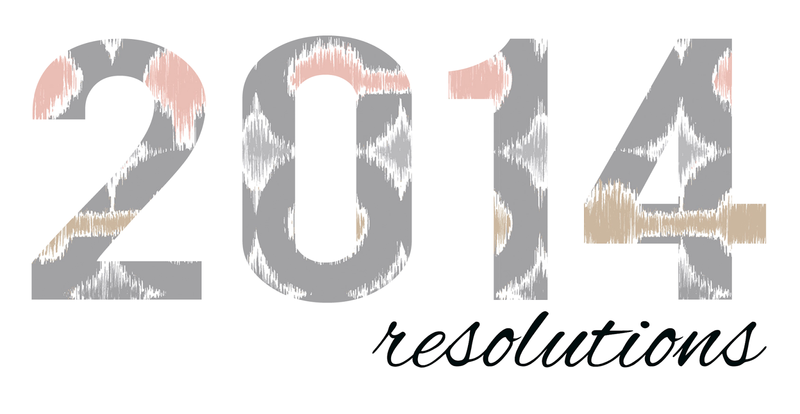 I've been thinking a lot about this year and making resolutions. I am always looking for ways to improve and I came up with these! I started constantly running earlier in 2013 and while it has been as consistent as it has ever been in my life, it still hasn't been that great. Pair that with freezing cold weather and yeah….this is going to be my hardest yet. But the fact that I told my husband about this goal and his response was "Why don't you do something more realistic…like 300?" made me want to donkey kick him and prove him wrong. The back squatting 200 pounds? Will take me the entire year. I am at 135 right now! I am loud by nature. So half the time I am yelling anyway. But I don't want to be that mom that yells at her kids all the time. I don't want my girls growing up with that. So I want to remember to take a moment to breathe. My babies are only babies for so long and I need to remember that. 3. Stop spending so much. I am sure my husband is breathing a sigh of relief. Since getting laid off while on maternity leave and taking on a very low paying job at the gym, money ain't as great as it used to be. But apparently I keep spending it like it is. (Sorry babe). So I would really love to be more organized with our spending aka actually keeping all of those receipts. 4. Keep at the Paleo. I have a bit of a food loving problem. Because I love to effing eat. When I'm at home, I am golden. Perfect Paleo. Take me out somewhere? ALL THE FOOD GO IN MY MOUTH. It's insane. No self control. So I would love to be able to go out to eat, to friend's houses and still be able to have some self control. Along the lines of this I seriously need some meal planning going on. I am way too comfortable in pajama pants and nursing tanks. So I am going to hopefully start getting up before the kids and getting myself dressed and make up on. Here's hoping on this one! Remember to breathe, take a second and collect myself whenever I am feeling anxious, angry, mad, sad, all of the emotions. It's amazing what one breath can do. Overall, I think these are pretty achievable! I love the feeling of a brand new year. It makes me anxious to see where we will be at the end of 2014. I am excited and sad because I cannot believe my baby will start pre school this year. I will save those tears for another blog post!